Feeling a little bummed about your holiday gifts — or lack thereof? Cheer yourself up by snagging your spot in line for a Mercier-Jones Hovercraft ($TBA). 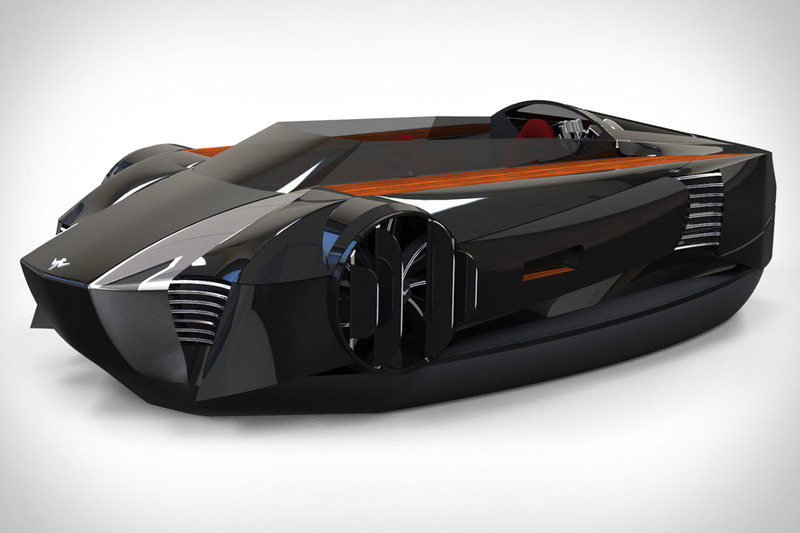 This ambitious craft — which is still in development, so put your Amex black cards away — features sportscar looks, a patent-pending directional control system for unprecedented maneuverability, carbon fiber and metal alloy construction, a single gasoline engine that supplies electricity to the three electric motors, and open-air, tandem sport seating for two. Arriving... whenever they're finished with it. No, you won't be using it to ride across the moon — although we imagine you could, with enough cash and the right equipment. The Surly Moonlander Bike ($TBA) is crafted form CroMoly steel, Microshift thumbshifters, the new MWOD crank system, a 2x9 drivetrain, and a matte black paint job. What makes it so unique, though, are the ridiculously wide 4.7" tires on 100mm rims, which let you tackle all types of terrain — including gravel, sand, snow, rocks, and, perhaps, even the lunar surface. Inspired by the WWII-era MP6 prototype, the Vespa 946 ($TBA) is the scooter at its most pure and refined. The 946 is powered by an ultra-modern single cylinder, 125cc, four-stroke engine that offers fuel consumption of over 55 km per liter — that's nearly 130 mpg — and 30 percent fewer emissions. 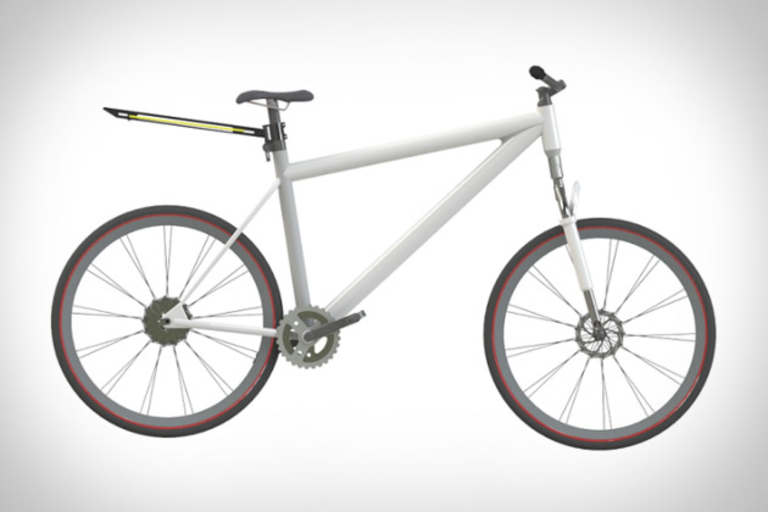 Other features include a lightweight, high-quality build that incorporates plenty of aluminum, and a sleek design that's perfect for the urban commute. You spent an awful lot on your sleek new Jaguar, so why would you want to ruin the design by hauling some fiberglass abomination behind it? The Jaguar Speedboat Concept ($TBA) is designed to compliment the company's cars with sleek lines, and features a gel coat fiberglass hull, natural teak decking, a red 2+1 cabin, and a polished aluminum propeller. Be sure to keep your eye out for the XJ-inspired fuel filler caps and D-Type-inspired carbon fiber fin, should you ever be so lucky as to actually see this thing in the flesh. Hot tubs/jacuzzis are common on upper-class seafaring vessels, but what if your vessel was literally a hot tub? In that case, you'd be sailing along in a HotTug (€11,450; roughly $14,800 and up). This ingenious little boat is made from wood and fitted with glass fiber reinforced polyester, uses a stainless steel stove with a single wall pipe to keep the water as warm as you like, and is powered by either an electric or standard outboard motor. Used to having company in the water? Not to worry, as this boat can hold six to eight people. You'd be hard pressed to find a more reliable, accurate EDC knife than the Fastball. The latest addition to the Gerber family is Made in the U.S.A. with a Wharncliffe steel blade that has a light, stone-washed finish, and an aircraft-grade aluminum sage handle. The folding knife has an intuitive finger flipper opening, and also makes use of Gerber's revolutionary B.O.S.S. Tech: where balls of stainless steel leverage a ball-bearing system that guarantees smooth, consistent deployment, and helps this knife live up to its name. The Fastball is finished with an easy-off liner lock, and a three-position pocket clip, with a blade that measures 3 inches with an overall length of 7.1". Adding motors to a skateboard might sound like a dangerous idea, but it can sure cut down on your commute time. Boosted Boards are a new line of electric skateboards that feature dual brushless motors and lithium batteries to propel you to speeds of up to 20 mph, up grades of 15%, and/or up to 6 miles on a single charge. You control everything via a handheld remote, and this being a skateboard, it still packs in components like a Loaded Vanguard, Bear Grizzly 852s, Otang 80A In Heats, and Jehu bearings. Add versatile, stylish cargo capacity to your bike with a Wingz Rack ($100). Crafted from lightweight aluminum alloy, this sleek rack attaches to your bike's seatpost using a simple two-screw clamp, and uses two thin, adjustable bars to hold your stuff — up to 25 pounds of it. Great for commuters, delivery boys, and anyone else who wants to carry extra gear on their bike without looking like they're carrying around E.T.